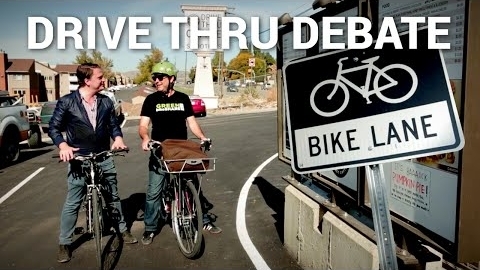 Should Bikes Be Allowed in the Drive-Thru Lane? // In Salt Lake City, Utah, quick-service chains have been fighting a recent law that permits bicycling through a drive thru. 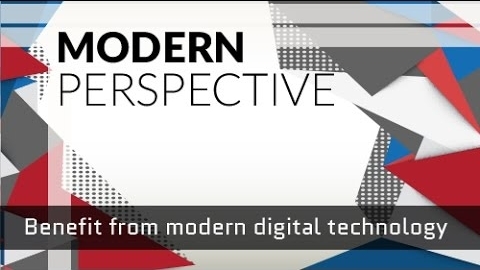 This video explores both sides of the drive-thru debate. 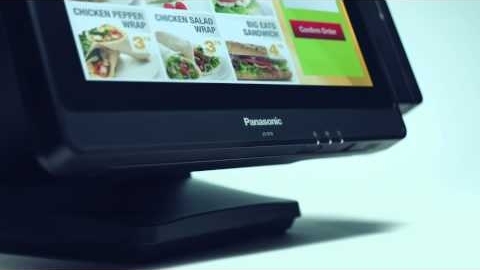 Panasonic Stingray III Modular Point-of-Sale Workstation // With interchangeable touchscreens to allow for easy customization and unlimited mounting options; the Stingray III is perfect for quick-service restaurants, table-service restaurants, corporate cafés, and the retail and hospitality industries. 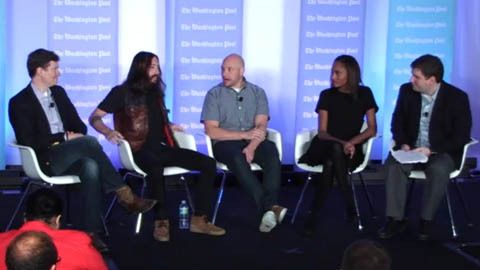 &pizza Cofounder Discusses Highs and Lows of Entrepreneurship // 12/2/15: Michael Lastoria, cofounder of fast-casual chain &pizza, discusses the highlights and challenges of entrepreneurship during The Washington Post's summit for Millennial entrepreneurs. 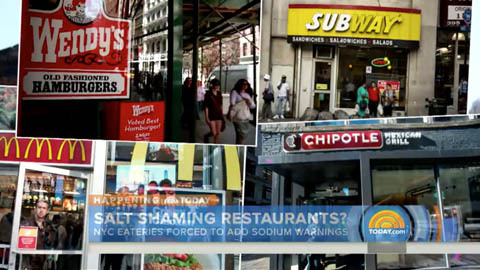 New Salt Warnings on NYC Menus Prove Controversial // 12/1/15: A first-of-its-kind rule took effect in New York City earlier this month, requiring certain restaurants to put warning symbols on menus next to high-sodium items. The NRA has filed a lawsuit combating the measure. 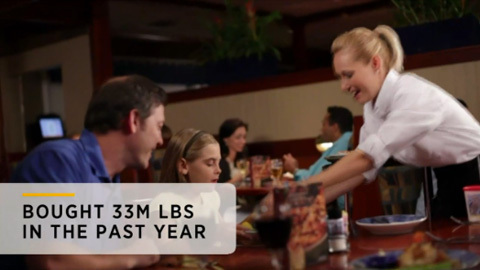 Red Lobster Beefs Up Its Shrimp // 11/23/15: Red Lobster is increasing the size of its shrimp in nearly 70 percent of lunch and dinner entrees containing the ingredient. It's a nod to diners' requests after combing through responses from more than 10,000 customers. 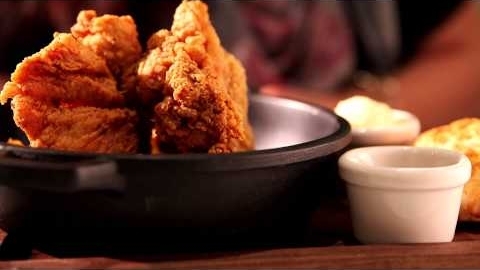 Texas Pete TV: Pantry - Las Vegas, NV // Chef Schmidt, of Las Vegas restaurant Pantry, incorporates Texas Pete® Hot Sauce in his signature recipes. The bold, balanced flavor invokes a classic Southern feel that is otherwise hard to find the heart of the desert. Get the story from Chef Schmidt himself! 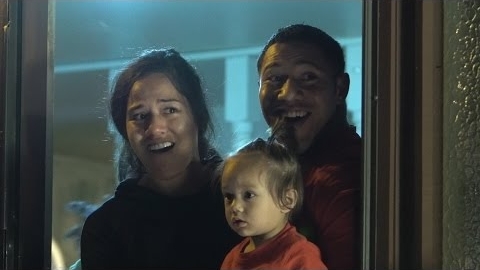 Holiday Pizza Delivery from Pizza Hut // 12/2/15: Pizza Hut surprised three families with an elaborate holiday caroling performance when their pizza was delivered, involving two choirs, a rock band, and other musicians. 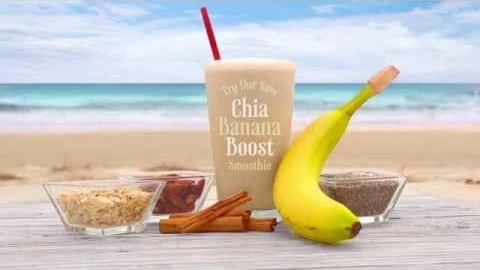 Tropical Smoothie Cafe's Chia Banana Boost Smoothie // 12/2/15: Tropical Smoothie Cafe introduces a new ingredient—bananas slow-roasted in the oven—in this ad for its Chia Banana Boost Smoothie. "Everything's Coming Up Gift Cards" at Chili's // 12/2/15: Chili's is marketing a holiday promotion that awards a $10 bonus card for every $50 spent on Chili’s Gift Cards. 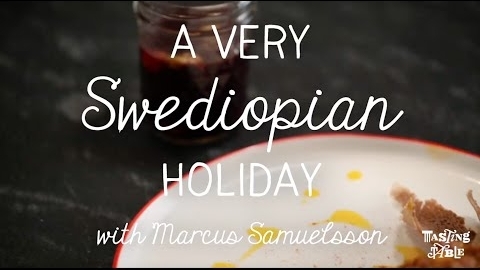 A Swedish/Ethiopian Holiday with Marcus Samuelsson // Chef Marcus Samuelsson of Streetbird and Red Rooster in New York City shows how to make Swedish Glögg and Ethiopian Beef Kitfo (beef tartare) for a very "Swediopian" Holiday. 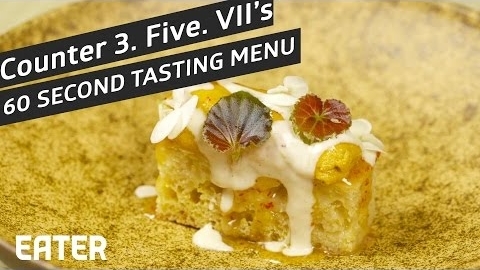 Counter 3.Five.VII In Austin Only Offers Tasting Menus // Austin’s Counter 3.Five.VII is counter-only, offering only three, five, or seven course menus. It is one of the first in Austin to have no tipping, along with no servers. 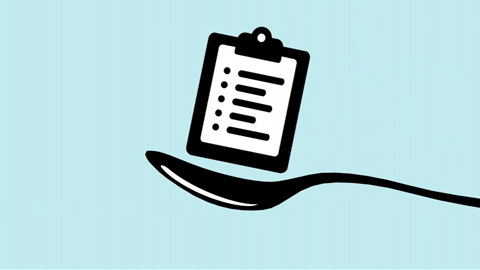 Here, experience the eatery’s longer menus. 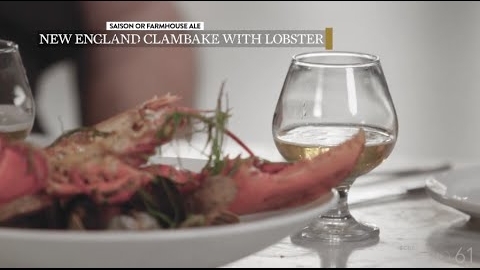 Pairing Food with Beer: New England Clambake with Lobster // Dusek's Board & Beer in Chicago suggests pairing Saison or Farmhouse Ale with its New England Clambake with Lobster. Social Media Explosion // Social Media is the face of your brand. Social media by Moving Targets broadcasts your brand, captivates your audience, engages your community, and defines your competitive advantage. Your online reputation is your biggest asset and we cover your biggest asset 24/7. All about that bass! What’s On! is an e-supplement of QSR’s A.M. Jolt and FSR’s FS Insider. Distributed once per month. Views expressed in videos are not endorsed by Journalistic, Inc. Select video content in this e-letter or links distributed remain the property of the publisher of that material. Reviews contained in this e-letter © 2015 by Journalistic, Inc. All Rights Reserved.